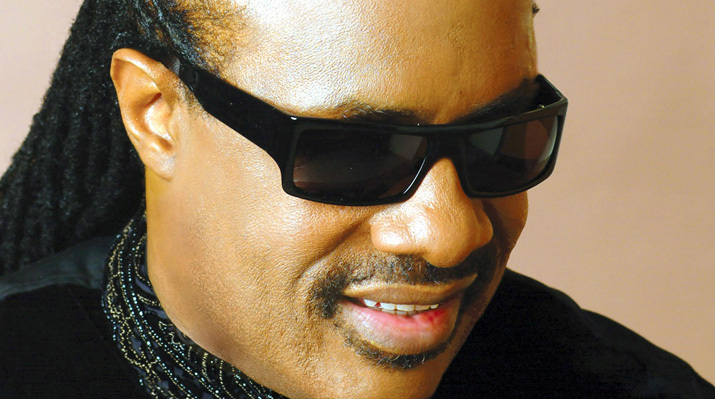 After 25 Grammy Awards and just about as many albums, Stevie Wonder needs little introduction. Signed to Motown Records at the tender age of 11 after being discovered by Ronnie White of the Miracles, the blind-from-infancy multi-instrumentalist’s first two albums didn’t make much of a splash – his sophomore outing, a tribute to the songs of Ray Charles, is notorious for the poor match it makes between “Uncle Ray’s” world-weary lyricism and “Little” Stevie Wonder’s sunny, high-pitched innocence – but his subsequent work as a composer, singer-songwriter, and arranger is legendary. Fifty years later, his sweet soulful voice permeates our musical map like only a rarified few. And though most of us can’t sing ‘em too well, I suspect you’d be hard pressed to find even the most amateur audiophile who could not identify at least a half-dozen of his numerous greatest hits from the first few funky notes or sweet synthesizer strains. Somewhat surprisingly, however, collecting Wonder’s works through coverage is another matter altogether. I’ve been trying to put together this post for a few months now, but despite the fact that the Stevie Wonder songbook is thick in the cultural consciousness, his songs seem to be sorely undercovered, especially in the folkworld. Much of this may be related to the notorious difficulty others have found in interpreting his vocals – as his Wikipedia entry rightfully notes, Wonder’s highly developed sense of harmony, his tendency towards complex chord extensions, the unpredictable changes in many of his melodies, and his unusual preference for sustaining syllables over several notes, make his songs a challenge to own, and even more of a challenge to cover effectively without sounding like a poor imitation of the real thing. Still, love songs are ever-attractive to the acoustic interpreter, and Wonder’s got more than a few direct, plaintive gems in his catalog. And certainly, an artist of Wonder’s stature and output provides no small temptation to those hoping to make their mark through reclamation of those familiar tunes. Which is to say: though the man’s presence and prowess make him long overdue for a strong, well-crafted acoustic tribute album, it is ever our position at Cover Lay Down that no song is uncoverable, and – as if to prove it – in the past fifteen years, a few brave and hardy souls have not only chosen to try, but have managed to recraft the Stevie Wonder songbook successfully. Here’s a few folk and/or folkified favorites I’ve found along the way that make me smile. Cover Lay Down posts your favorite new and newly-rediscovered coversong collections twice weekly, sometimes more.